So Ynnead looks like possesed Fulgrim....nice... . Probably Jes Goodwyn was too busy on crazy Arcmagos Cawl. Imagine if the image was leaked without description - will everyone say Fulgrim, Fulgrim is coming? If i will ever paint this model colors will be half-grey half-black with white trimmings for a sombre death theme and a Harlequins reminder, and color of magical fire will be yellow giving a little nod to Yanden. Mmm...if there will be some cool detachment, im really seeing this guy surrounded by 3 Death Jesters, leading Harlequin Force. notice the alternate weapons on the Avatar. I was a little dissatisfied with the power sword and hoped there would be alternative weapon options. I'd have preferred something like a huskblade or other wraithbone weapon, but at least those blades are suitably non-technological. I'm still wondering why on earth Yvraine's train has DE vehicle grating in it. I can only assume it's so she can drag her space cat around when it decides to be lazy and pretentious. If that Gyrinx is anything like my cats it will be sitting by the webway portal for ages wanting Yvraine to activate it and when she finally does it will sit there and not move a muscle other than to yawn. Huh...that is a really long train behind not-Malys. Not sure what to make of that. Absolutely agreed on the Ynneadvatar. I'll be painting mine in a really low-contrast bone colour (swirly sh*t as well), maybe with ash-grey skin and deep red highlight spots for the soulstones. Lucky I picked Ynnead-worshippers for my craftworld over a decade ago. The colour scheme is coming up trumps now! I kinda like the purple for the Avatar; done in a darker purple, it could look very 'Last Hatred'. But I'm a sucker for purple. Might do the ghostly bits in a nice Incubi darkness with lighter green highlights, like the souls spewing out are angry or something. Absolutely love the Ynnead Avatar model. Noticed it has a single breast though, which is something Slaanesh is pretty fond of. I wonder if the named Shadowseer, whose name escapes me, becomes the avatar, so that could be why is looks part female. Does it, or is that just a pad of armour? It may well be true though, so I could very well be eating my words! Also, someone pointed out the 'O-face' mask on not-Yriel's crotch. Hmmm not Malys looks much better in the warhammer world pic and I do like the daggers on the Yncarn. 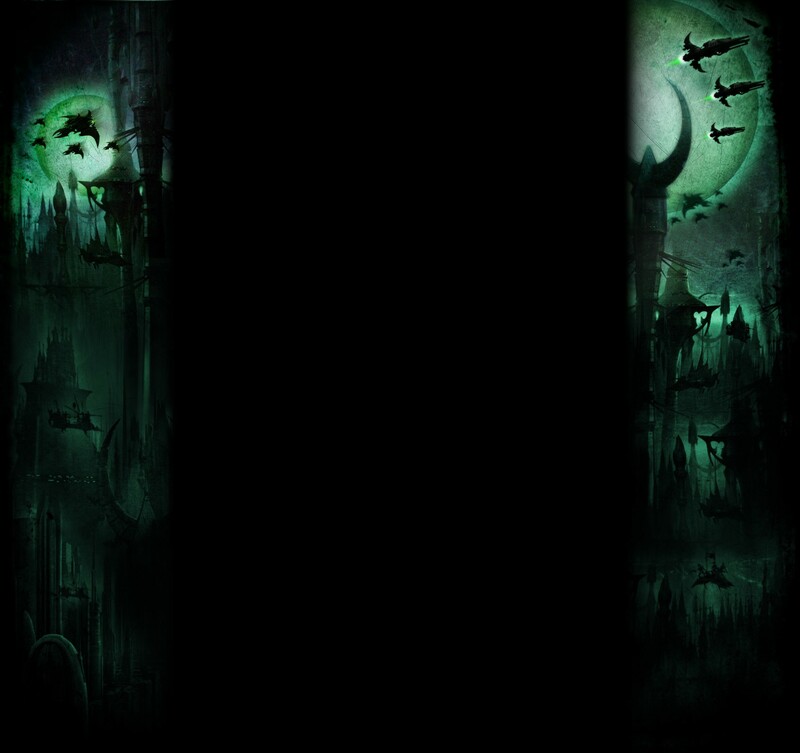 It seems like Yncarne's belly is sucking in both spirit stones and wraithbone. I wonder if he/she will have a dead eldar counter mechanic or something. It makes sense, after all. The question is, will she/he have the power to return souls into new (or "old") life? Hmm. P.D. Whatever the new god will do with eldar souls, it may have been predicted by the haemonculi, who have been making provisions lately, in the form of humanoid livestock. I do not like any of them. Nothing looks like it is particularly sneaky and not enough spikes. Bland, generic posing, over the top headgear and annoying fireworks displays. The red guy is OKish but kinda boring and too bulky for my taste. Showing up to war in a 5' topknot and full on Rio-de-janeiro-mardigras head dress is not going to scare anyone, unless she is counting on the enemy rolls their eyes to death. Both of them stand with their arms out like they just put on deodorant and waiting for it to dry. Nothing a pair of clippers can't fix though, but the avatar of copy paste design is beyond saving for me. I'm probably still getting them if the price is right. They have kitbashing potential at least. ^We know, I posted that picture on the previous page. @Scrz That was my initial response to them, but I can absolutely see the potential. Sort the Yncarne's paint-job to something less AoS/busy. A nice low-contrast bone-white and ash-grey with spots of red should do it nicely. Can't see the daggers very well, but they look a little better than the 'He-Man' sword pose and the 'aaand here's one I made earlier' rune-hand. Still, definite potential. I will agree that the posing on not-Yriel is a little unambitious. I think they were going for 'silent statuesque hardcase bodyguard' which they've got quite nicely, but it is lacking a little 'vim'. 1. Fragile. T3. If you want a rock-solid tank of a character, I hear Cawl is pretty tough. Much though people lament it, that's just not what Eldar are about (aside from Covens and Wraith units, which should be a minority). 2. Slippery as all f*ck. Hopping on my soap-box of eldar survivability, his main protection should be from being really, really hard to pin down. Veil of Tears set the precedent for what Eldar survivability should be like. Wilt to bolter fire, but devilishly difficult to bring those bolters to bare. 3. Dead killy and brutally fast. Like a blitzing Solitaire on Bath Salts. If you want your head honcho to plod slowly up the battlefield, tanking shots left-right-and-centre and then hit the opponent in the face with a hammer, go play something that's got power armour. A chap called Galef and our very own Imateria came up with an idea for a sort of 12" Eldar Death Boost bubble, which fit perfectly with my vision for eldar survivability. 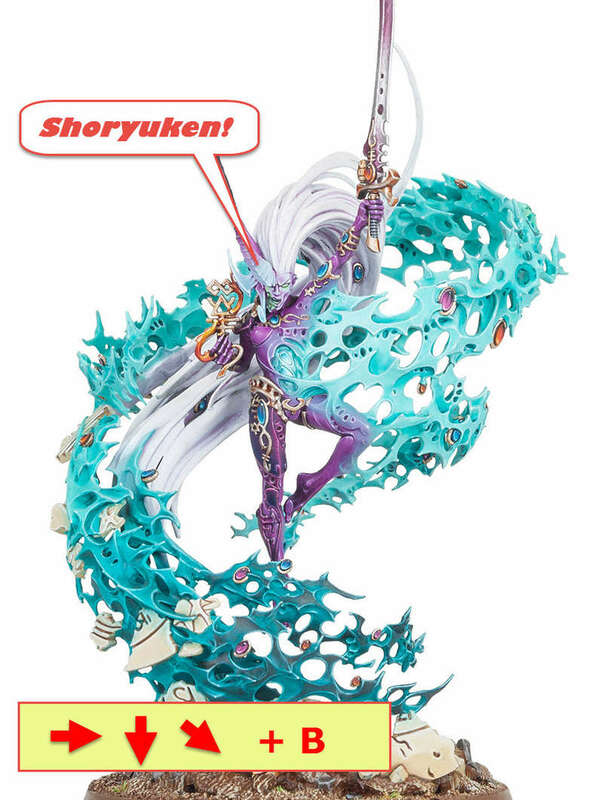 Make every eldar model that dies within 12" of the Yncarne buff it by 1 attack for the whole game, and 1 warp charge for the subsequent psychic phase. Make the enemy perfectly capable of wiping your squads to a man...but hesitate to do so. Oh, and honourable mention for another of Imateria's ideas. A fear-based rule of some sort that works on Astartes called And They Shall Be Broken. What I'd like to see would be something similar to the old reanimation protocols around the yncarne, as the souls return in the bodies of the dead. That would be cool and fluffy. Not really, I'm hoping for more of a reverse Power From Pain, so the more allies die the stronger Ynnead gets. I hope they wont start adapting other armies' rules for us... srsly I dont want us to become necromancers. Maybe it can go both ways, with the death from your own unit you gain a "power token" that token either empowers the Avatar or can be spent to resurrect the unit. Just throwing around ideas, I'm not sure if I like the idea of Eldar battlefield resurrection though. As @Jimsolo said we already are necromancers as DE, and Iyanden more then us. @CurstAlchemist, I'd gladly sacrifice 5 warriors to resurrect a grotesquerie.